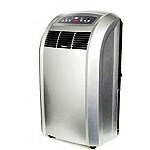 Shopping for home appliances should be a fun and rewarding experience. The right appliance can change the way you feel about your kitchen or laundry room, and may also increase the value of your home. 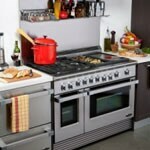 Appliances today offer so many features and options that sometimes it can seem overwhelming. We have created several Home Appliance Buying Guides for our large appliances to help you make the best decision for your home. If you still have questions about any appliances please call us at 877-743-2269 to speak to one of our knowledgeable customer service representatives. Our cooking experts have compiled a resource center to help you with any cooking related purchase or question you might have. 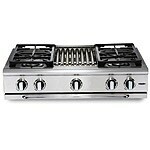 From gas ranges to drop-in cooktops, you'll find the ideal solution to making your cooking experience easy and affordable. Shop now and save. Learn more about the different types of refrigeration units we have available. 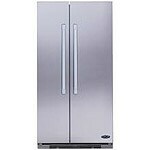 We show you all of the options that refrigerators have to offer. 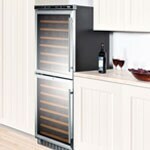 Select your favorite style of wine coolers, or find an ice maker that is perfect for your living space. We also offer a variety of energy-friendly refrigeration units that will help you save energy and money while you store your foods safely. No kitchen is complete without a dishwasher for keeping dishes clean. Styles range from integrated dishwashers to standard dishwashers. Learn about why you may want to invest in a standard dishwasher instead of a portable dishwasher when you're considering a kitchen upgrade. 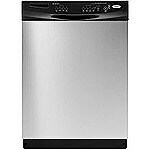 Our guides can help you single out the best dishwasher for your kitchen cleaning needs. Preserve your clothes properly with a washer or dryer that is built for your needs. 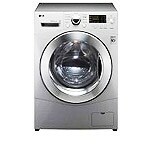 Learn what to look for when considering a new washing machine, what capacity clothes dryer you might need, and the benefits to upgrading an appliance. Important information on energy saving tips and budget-friendly suggestions can be found here. Consult our guides to learn more. Air quality plays an important role in making sure the air you breathe in your home is as healthy as possible. Our air quality appliances represent the upper echelon of affordable technology and modern design, making them an attractive and essential part of your home. Browse our guides to get a better overview on all of the products available, centered around improving the air quality in your home. 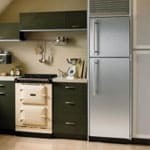 If you plan on doing a bit of kitchen remodelling, you'll need to know what appliance style is right for you, and how costly it will be for appliance upgrades or appliance replacements. Our kitchen guide is designed to help you make the best decision when purchasing new appliances for your home. Browse this guide from top to bottom to gain insight on what goes into planning a kitchen remodelling job. Replacing appliances can be an expensive, and labor intensive process. With careful care and a regular maintenance you can keep your appliances working longer, saving you money. In this guide we show you how you can extend the life of your major home appliances and keep them working longer for you. Your appliances are a part of your everyday life, ans you need them to function properly. This is why it is important to know when it is time to replace your appliances, before you find yourself stuck without a working washer or range. This guide will show you all the ways you can upgrade or replace your appliances, and when to do so.